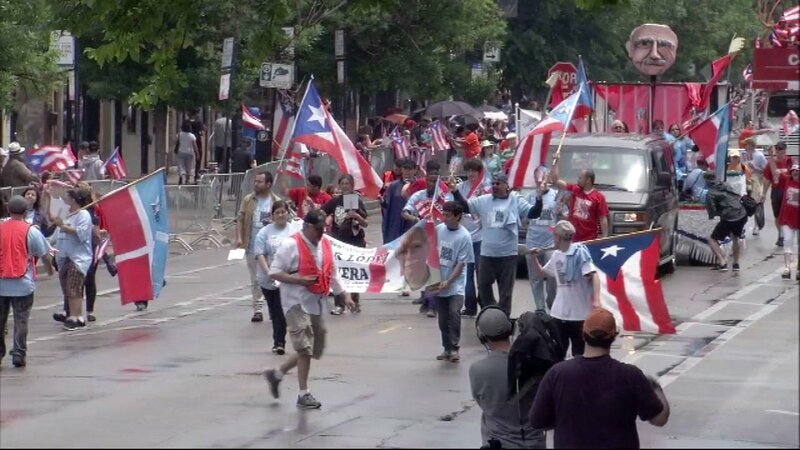 The Puerto Rican People's Parade. CHICAGO (WLS) -- Chicago's Puerto Rican LGBT community honored the shooting victims in Orlando, including the 23 of Puerto Rican descent. During Saturday's Puerto Rican Day Parade, one of the floats honored the victims. The parade stepped off Saturday afternoon at Division and Western in Humboldt Park. The festival features lots of music, food, and arts and a carnival. The Puerto Rican festival continues through Wednesday night.